You’ve always had great teeth, haven’t had a cavity in years, and between two kids, a dog, and your favourite hobby, are busier than ever. Before you realize it, it’s been three years since your last checkup. While it may not seem like a big deal to see a dentist every six months, it’s just as important for our Wyndham patients with healthy teeth as it is for people with chronic dental problems. The goal of six-month appointments is to prevent common dental problems through maintenance, education, monitoring, and other preventative resources such as fissure sealants and fluoride, to lower your risk of decay and gum disease. Gingivitis and tooth demineralization can lead to gum disease and cavities if not intercepted early enough. When our Wyndham dentist sees you on a routine basis, it’s easier for us to identify and intervene while specific dental problems can be completely reversed. Dental problems are more affordable to correct when they’re addressed in their earlier stages. 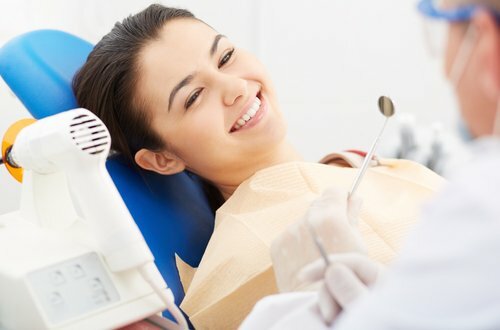 A small cavity costs less to fill than getting a crown, etc. It’s often when we stop being proactive about our oral health that we begin to experience challenges with it. Contact our Wyndham practice today to schedule your next appointment.